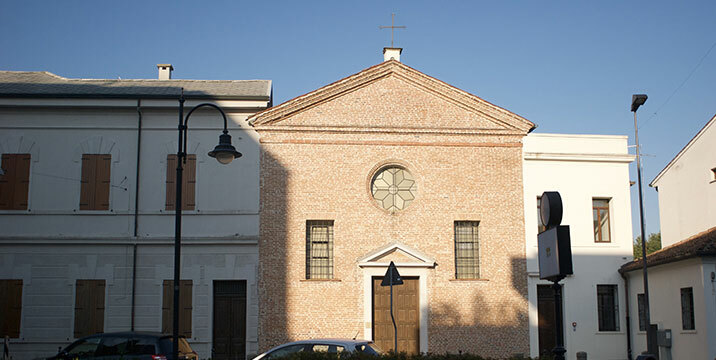 At the end of the 1500s the convent of the Capuchin friars had settled in a neighborhood outside the city walls once called San Bernardo, to the right of the Adigetto, where the Corso del Popolo divides today. 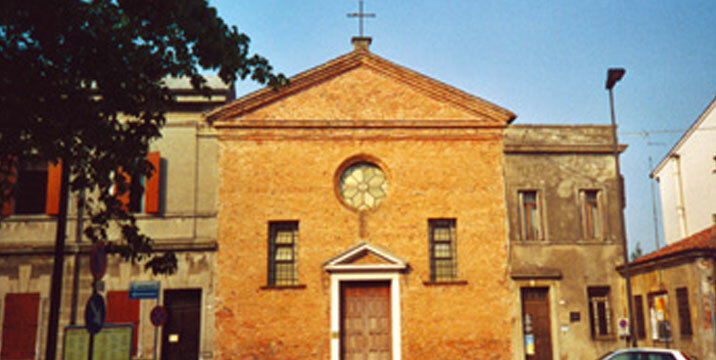 30 years later a church dedicated to St. Michele the Archangel was also annexed to the monastery. The church was built with the alms collected by the friars. 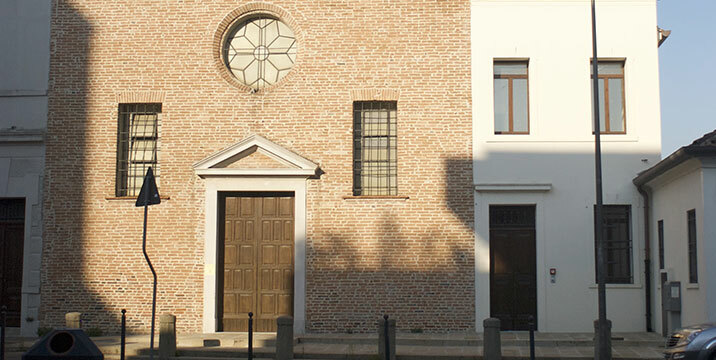 The facade is simple and unadorned and the interior has a single nave. Over the course of the following centuries, it was repeatedly restored and enriched with large paintings and important furnishings. However, when the Capuchins left San Michele in 1888 to move into a new home, the convent was incorporated into the adjacent present day school building and part of the artistic heritage went missing. Today only the large wooden altar of the presbytery topped by a beautiful altarpiece by Girolamo Brusaferro and a small cloister remain. From 1895 to 1900 a small prodigious fact took place In this church : an image of the Madonna Addolorata, Our Lady of Sorrow, in the church moved and changed expression. The painting was later moved to the church of Serve di Maria Riparatrici, not far from the Capuchins, where it remains today. 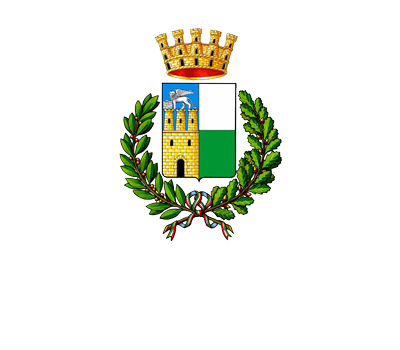 In 1996 the church was the object of a meticulous restoration promoted and carried out by the Lions Club of Rovigo that transformed it into multipurpose room now used for exhibition purposes.